Face Framed vs. Frameless Cabinets - What's The Difference? When you are ready to begin selecting the cabinets you will use in your kitchen, bathroom or another part of your home, you have several options to keep in mind. While your main concerns may be factors such as color, wood type and hardware, there other considerations to keep in mind as well. One that will impact the look of your cabinets is if you want frameless or face framed units. Both have their appeal and benefits, and in many cases, the decision is made based on what you prefer. However, if you are unfamiliar with the difference in these options, gathering information first is a must. Learn more about each of these options here. Just as the name suggests, a framed cabinet is just cabinets that have a face frame covering the actual cabinet box. 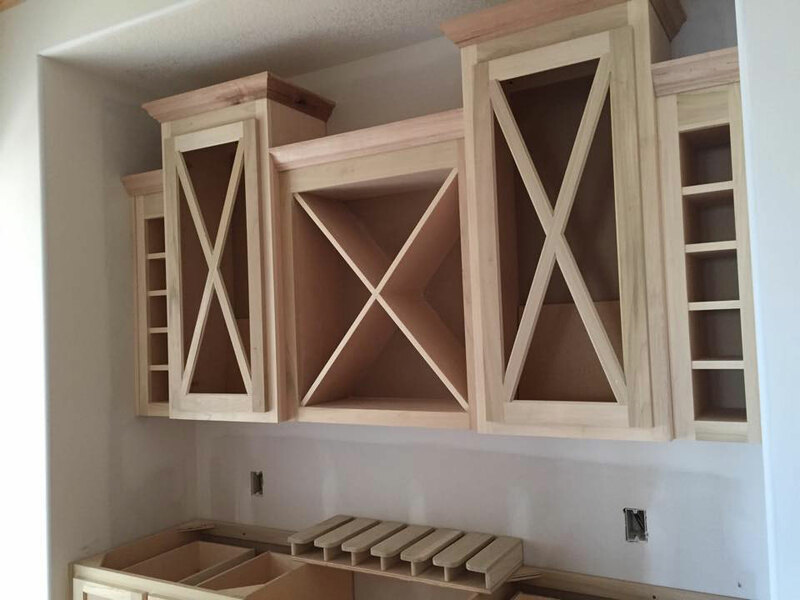 In most cases, these will be referred to as Traditional or American Style cabinetry and will be measured in inches. You can also opt for more contemporary or transitional doors on this type of cabinetry. With a framed cabinet, the doors will attach to the actual face frame. This provides more stability for the cabinet box and creates a cabinet that is much sturdier. However, a possible drawback of this option is that the opening to the cabinet will be smaller because the frame’s addition will result in slightly less storage space for your cabinet box. In order to help with this, you can opt to have cabinets designed without the center stile, which provides more accessibility than traditional framed cabinets. The frameless cabinets, just like the name implies, will not have the face frame. These are often referred to as being “full access” cabinets, Modern Cabinetry or European Style. With that being understood, you will see several frameless cabinets that are measured in millimeters; however, they may also be displayed in inches. With a frameless box, you will find it is easier to access what is inside and use all the storage space. Because of this, the cabinet box will usually be thicker, adding to the stability of the unit. Frameless cabinets also have much sleeker looks, because of the seamless lines and the cabinet doors are attached directly to the cabinet box. You can find an array of options when it comes to frameless doors, offering you the simple and modern appeal you are looking for. Also, you are only going to see full overlay doors used with this type of cabinet since the hinges are attached to the side of the cabinet box. If you are unsure of which option is right for you, make sure to speak with the professionals. You can also use a custom cabinet maker’s services to create the specific cabinet box, look and specifications you require.